Jennifer Walton grew up in Southern California and began her career in the music industry, traveling extensively for 10 years before studying photography and receiving her degree in Visual Journalism from Brooks Institute of Photography. In 2002, Jennifer began documenting the lives of the U.S. Navy SEALs and their families for the book, “SEAL – The Unspoken Sacrifice.” It was during this high level of access she experienced the community intimately and at a pivotal time in history. Her deepest purpose was to create an honest portrayal of the men, their missions, their families, and most importantly, their undeniable bond. After Jennifer’s seven-year long adventure with the Naval Special Warfare community, she continued as a published music photographer while focusing on the environment, land conservation, and sustainability for the Goldman Environmental Prize, Teton Regional Land Trust, and Teton Geotourism Center (developed in conjunction with National Geographic). 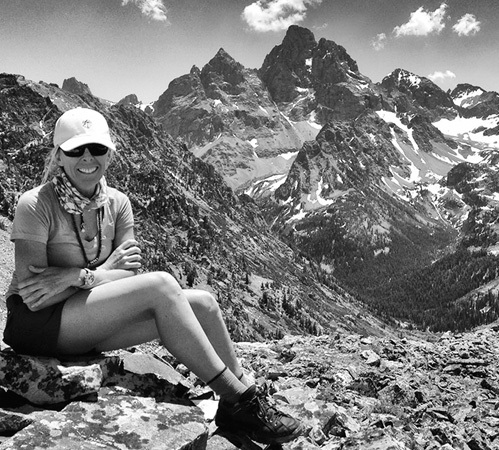 A fourth-generation Idahoan, she is compassionate about the mountain and farming communities traveling monthly to the Teton Valley, ID and Jackson, WY regions. Her latest project, “FRAC/TURED: A Place Called Pavillion” is a formal analog photographic essay of an agricultural community in central Wyoming at the epicenter of the national debate over the health and environmental effects of hydraulic fracturing. She is currently researching the existing and potential impacts of oil and gas extraction on the air, land, water, and wildlife in Grand Teton and Yellowstone National Parks for her next project. Jennifer lives in Los Angeles, CA with her daughter. In 2015, she will become a permanent resident of Jackson, WY.